Cardwell AL-72 double drum back-in unit with a 65 ft. double pole mounted on a tandem axle truck. Doghouse is a tandem axle truck with 7' X 8' doghouse with 4' X 8' junk rack. Stems, bailers, and sand pumps are carried on the side of the doghouse. 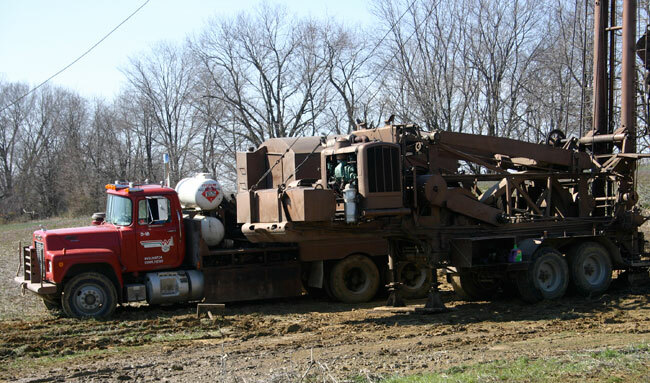 Walker-Neer C33A triple drum back-in unit with a 65 ft. double pole mounted on a tandem axle truck. Doghouse is a tandem axle truck with 7' X 8' doghouse with 4' X 8' junk rack. Stems, bailer, and sand pumps are carried on the side of the doghouse. Walker-Neer C33A triple drum back-in unit with a 65 ft. double pole mounted on a tandem axle truck. Doghouse is a tandem axle truck with a 7' X 8' doghouse with a 4' X 8' junk rack. Stems, bailer, and sand pumps are carried on the side of the doghouse. 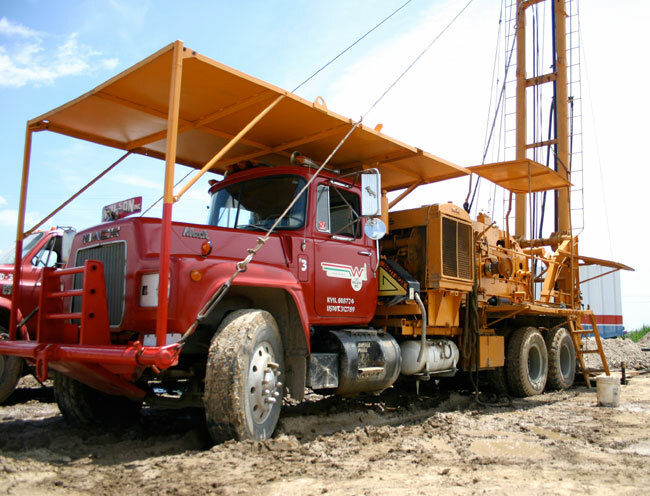 Walker-Neer C33A triple drum back-in unit with a 65 ft. double pole mounted on a tandem axle truck. Doghouse is a tandem axle truck with 7’ x 8’ doghouse with a 4’ x 8’ junk rack. Stems, bailer, and sand pumps are carried on the side of the doghouse. 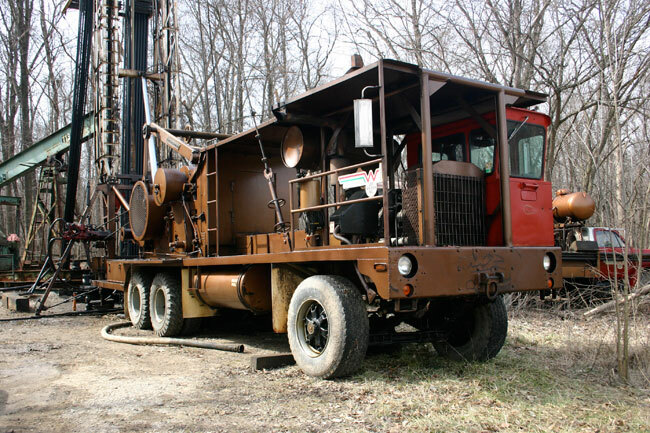 Walker-Neer S-43 triple drum back in unit mounted on a trailer with a 65 ft. double pole. 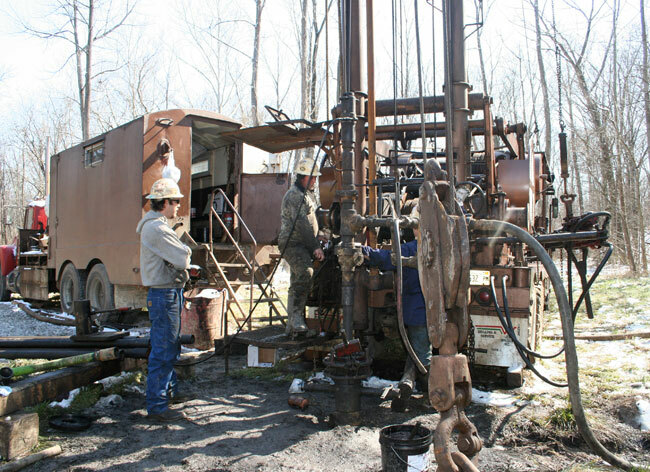 The rig has a 15' X 8' skidded doghouse and a skidded 15' X 8' junk rack. 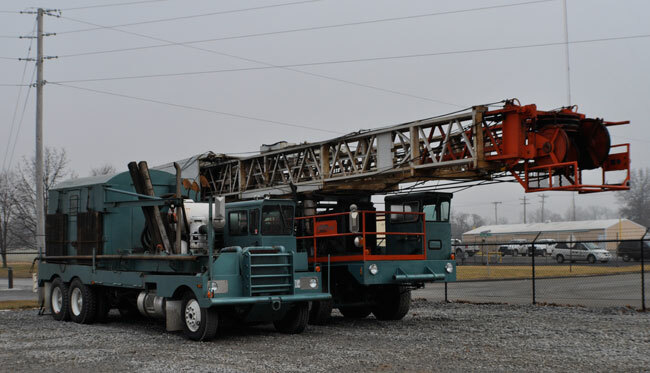 Walker-Neer C33A triple drum back-in unit with a 65 ft. double pole mounted on a tandem axle truck. Doghouse is a tandem axle truck with 7' X 8' doghouse with a 4' X 8' junk rack. Stems, bailer, and sand pumps are carried on the side of the doghouse. Walker-neer C33 triple drum back-in unit mounted on a 3-axle carrier. 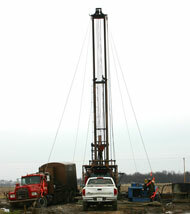 The rig has a 69 ft. mounted derrick with tubing and rod board - hydraulic raised and scoped. Doghouse is a tandem axle truck with 7' X 8' doghouse with junk rack. Stems, bailer, and sand pumps are carried on the side of the doghouse. 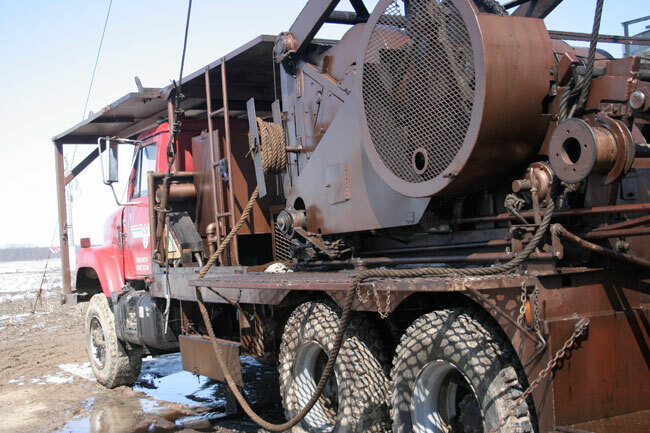 RL Cardwell air operated triple drum with a 65’ double pole mounted on a 4 axle carrier. Doghouse is a tandem axle truck with 7’ x 8’ doghouse with a 4’ x 8’ junk rack. Stems, bailer, and sand pumps are carried on the side of the doghouse. Ideco H-35 B.I. double drum with disc assist on main drum. Derrick is 103’ 250,000 lbs. mast withtubing and rod boards. Doghouse is mounted on a 3 axle crane carrier with a 4’ x 8’ junk rack. All the above cable tool spudders are equipped with Guiberson H OSR, 1 Double E OSR, BJ type S Power tubing tongs, tubing swab. A 1994 Walker P13 International 9200 pulling unit with a 55’ single pole. 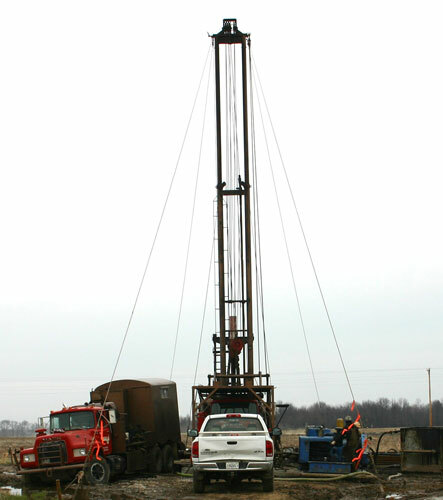 Rig is equipped with rod fishing tools and power tongs. Disclaimer: All equipment is contingent on contract and is subject to change due to updates, availability, and changes.